What Are the Benefits of Safety Razors? What Kind of Cans Are Used for Canned Foods? What Metals Are Razors Made Out Of? Steel has been used to make razors since the metal was first developed. 3 What Are the Benefits of Safety Razors? There are numerous types of razors, from straight-edged to disposable, that can be purchased today. The metals used for making razors have changed drastically since the first examples dating from the Bronze Age, but it has been in the last century that most of the advances have been made. Today all razors are made from a variation of steel, but many companies have a specific steel compound which they use. Razors were first developed when humans were first able to forge metal. Iron was the most commonly used although bronze and even gold razors were made. Before this sharpened stones and even sea shells were used to shave. 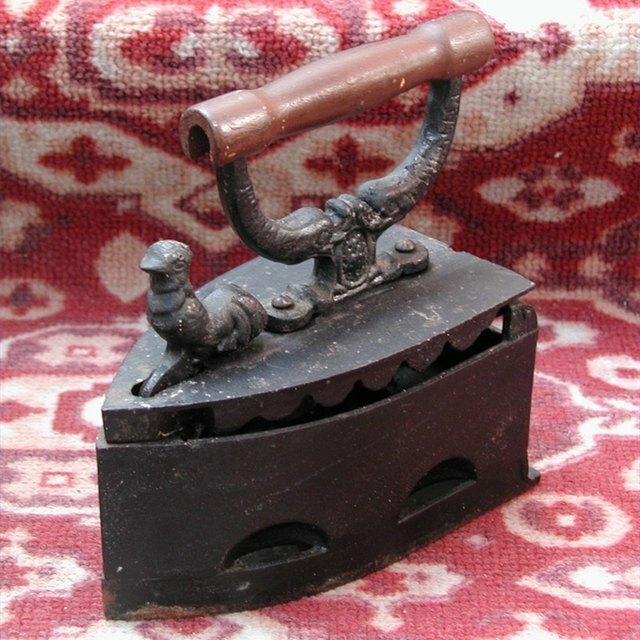 Iron and other similar pure metals were used to make razors until steel was developed in the 19th century. Steel, a mixture of iron and carbon, was the first revolutionary metal of which razors were made. This material was stronger, easier to sharpen and kept a sharp edge. It was first used to make straight edge, or cut-throat, razor blades. These were normally about six inches long and forged from a single piece of metal. When required, it could be sharpened using a grinding stone or a leather strop. By the start of the 20th century metallurgy had developed ways for making razor blades as thin as possible which allowed the likes of Gillette to develop multi-blade safety razors. Stainless steel is a mixture of iron, carbon and chromium. This material was ideal for making razors as it was resistant to corrosion. As razors are regularly exposed to damp conditions, there is a tendency towards rusting. This can lead to an uncomfortable shave and a degrading of the blade itself. Today most quality razors are made form a steel compound called carbide steel. This is a metal where the other elements used have no fixed quantity. In varying amounts chromium, manganese, silicon and molybdenum are added to the iron and carbon mix to make a steel that can be forged into as thin a blade as possible and still be corrosion resistant and keep and sharp edge. Many razors today now have a coating on the steel blade itself. These materials are normally corrosion resistant and are very hard allowing the other components of the blade to degrade before the metal edges. Tungsten and titanium are the two most commonly used coating metals. What Are Fire Resistant Clothes Made Of? What Is Better for Cookware: Glass, Stainless Steel or Silicone? Are Nickel Lined Pans Safe?